Perfect Places - Vacation Rental Blog: Don't put those flip flops away just yet...head to the Caribbean instead! Don't put those flip flops away just yet...head to the Caribbean instead! Warm up with a little fun in the sun! If warm weather is calling your name, we have the solution for you. The Caribbean is one of the best places to sneak away to get that warm sunshine on your shoulders and soft sand in between your toes! With over 1,000 islands, the Caribbean has plenty of places to soak up the sun. Whether you seek seclusion or are looking for a more happening vacation, we have some great places for you to visit in the Caribbean! Jamaica is one of the most popular islands for people to visit in the Caribbean. It is often sought after for honeymoons, spring break, and of course winter vacations. With a vibrant atmosphere and many options for entertainment, Jamaica is a perfect option for those seeking a beautiful island with plenty of nightlife and activities to keep busy. If you are looking for an all-inclusive stay on one of the best parts of Ocho Rios, try this great resort! With all meals, beverages, activities, and non-motorized water sports included, you really don't have to leave the resort! 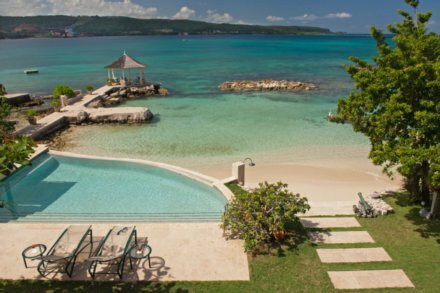 Another great thing about this Ocho Rios all-inclusive vacation rental is that it offers ocean views from every room! 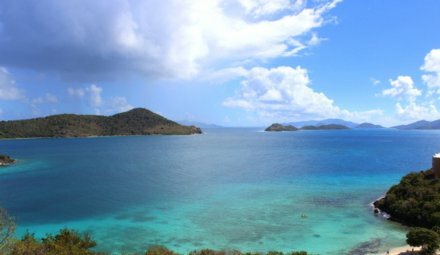 The USVI consists of 3 main islands: St. Croix, St. Thomas, and St. John. Each island has wonderful options for travelers visiting the Caribbean. St. Croix is the largest of the islands and is packed with fun things to do year round. St. Thomas is the most cosmopolitanism of the islands, offering more tourist-like activities and shops. If you want pure seclusion, try St. John as 60% of the land is natural parks. All the islands offer so much beauty, they are all worth seeing! You also have the option to travel to the other islands by ferry, so consider visiting all three while you are there. 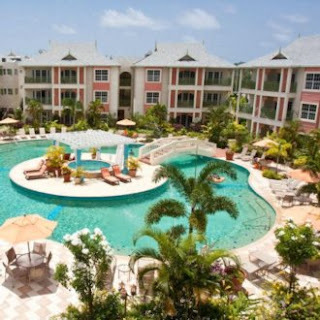 This fantastic resort is located at the eastern end of beautiful St. Thomas boasting amazing ocean views! The Point Pleasant Resort offers 3 pools, private beach, spa, fitness center, and is located in the heart of all the fun activities. Try this St. Thomas resort for to make your Caribbean vacation perfect! Are you looking for a more calm, more off the beaten path vacation but still have all the resort amenities? Then St. Lucia is a fantastic choice! St. Lucia is a secluded island in the southeastern part of the the Caribbean Islands. It's known for it's beautiful beaches, mountains, rain forest, natural waterfalls and some great diving spots for those scuba diving enthusiast. St. Lucia is definitely a more laid back island, but still offers many activities if sun bathing just isn't enough! 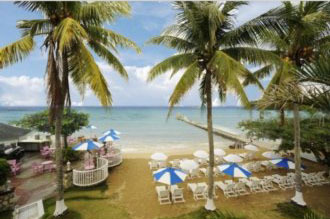 Bay Gardens Beach Resort in Rodney Bay, St. Lucia is a beautifully landscaped resort on the Famous Reduit Beach! This resort offers a beautiful beachfront location, perfect for relaxing and listening to the waves come in. It's also in the the heart of Rodney Bay Village, giving you easy access to restaurants, bars, casinos and shopping, should you want to leave your hammock! These are just a few ideas for your Caribbean vacation, but there are many more! If you are ready to head to the Caribbean, contact our Travel Specialist! We love to help our customers find the perfect place for their Caribbean vacation.